This is fantastic news! 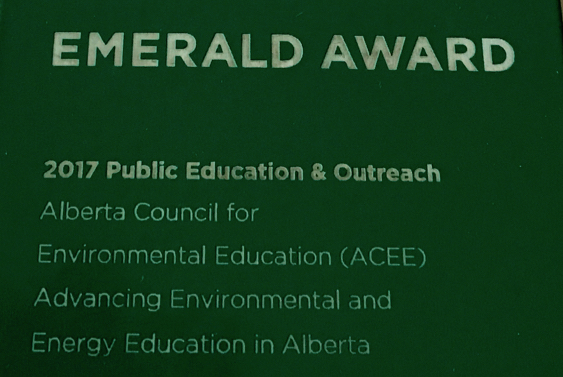 The Alberta Council for Environmental Education has been awarded the 2017 Emerald Award in the Public Education & Outreach category for Advancing Environmental and Energy Education in Alberta. This award recognizes and celebrates those who have made a significant contribution to preserve, protect and enhance the environment. Wow, what an honour! We work hard to bring environmental education into the mainstream and guide children and youth to become environmental leaders. 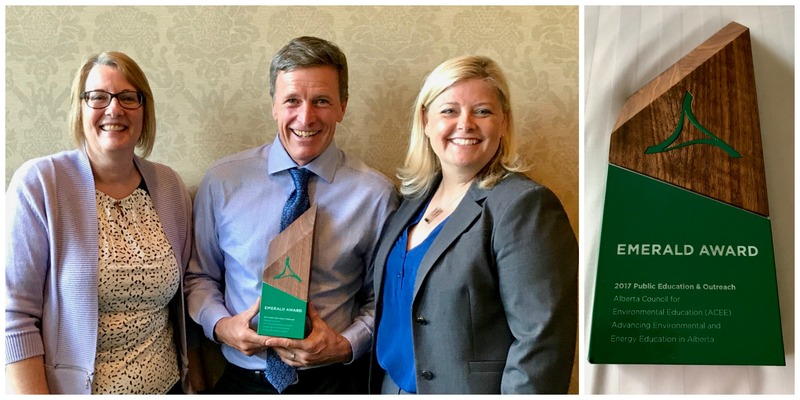 The Emerald Foundation recognized our recent accomplishments, which include: ensuring environmental, energy and climate change literacy are included in the new K-12 curriculum, professional learning conferences for educators, online database of resources for teaching environmental education and programs to connect preschool children as well as K-12 students to nature. ACEE Executive Director Gareth Thomson has been an environmental educator for 27 years and helped found the organization a dozen years ago. "In my view, environmental education is THE key strategy to meet our sustainability challenges. We need to give our children the tools to build a future that balances economic benefits, societal needs, and environmental health." Watch ACEE's Emerald Award finalist video here.